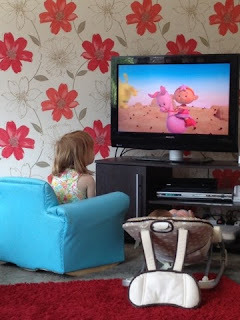 As you may have noticed we are huge Cbeebies fans in our house. 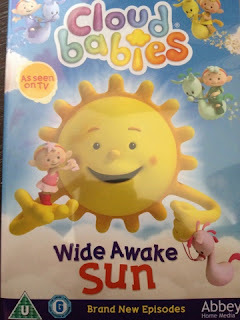 We have been sent a copy of Cloudbabies new DVD to review. I was excited for this DVD as it is one that both kids can watch. It's not very often Zach sits still but he loves to copy his big sister and it's nice to have something relevant to the both of them to review. Gracie was very excited when she saw the DVD arrive she loves watching Cloudbabies on Cbeebies but it isn't on very often and when it is, it seems to be the same two episodes repeated every time. She asked to watch it straight away so we popped it on and it kept them quiet and entertained for a while. Gracie watched almost all of it and Zach sat still for about 25 minutes which must be a record! The DVD contains six episodes and runs for around 60 minutes so is lovely for a nice peaceful hour after a hectic morning of playing. Cloudbabies is about four characters, who are of course babies that live on a cloud and look after the sky. The Cloud babies; Baba Pink, Baba Blue, Baba Yellow and Baba Green live with Bobo White who is a sky imp in a house on a big fluffy cloud. They have skyhorsies that transport them around the skies to take care of the Sun, Moon, Rainbow, Fuffa Cloud and Little Star. 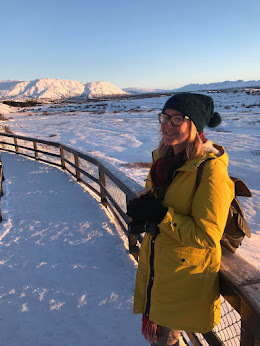 The aim of the show is to introduce children to learning about day and night and all about the sun, moon, rainbows and stars. It is a lovely show even for children too young to understand the concept of day and night. The show is full of bright colours and softly spoken characters and has a nice lullaby like theme tune. I would definitely recommend this DVD for parents looking for something nice and light to entertain children for a small amount of time (of course it is not good for children to watch TV or DVD's all day). The Cloudbabies Wide Awake Sun is out now and is available from most good DVD stockists.